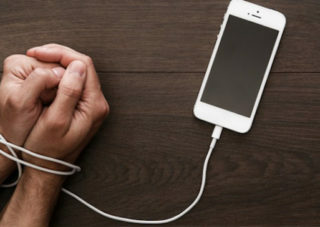 Here’s the catch, the regulations would bar firms from requiring workers to check e-mail or other electronic communications outside the normal workday UNLESS their contracts specify otherwise. There it is!! Although I can see thousands of jobs that will be able to unplug and not answer…..for those of you, like me, in the Convention, meetings, trade shows, exhibit, transportation and hospitality business….that ain’t happening. It’s not a stretch to say that there is overwhelming opposition from the business world. The Bill’s sponsor said he introduced the bill because “science and studies have shown it is beneficial to both workers and businesses, which is why I think it’s positive to implement.” Wow & What? I want to ask the esteemed politician….what the heck is your job in real life? It’s obviously not in convention services. There is an exemption for employees whose contracts require them to be on call around-the-clock and wouldn’t apply to overtime. WOW again. So let me get this straight. We would create different classes of employees…those who work their asses off 24/7 and those who don’t. If the backers think they have an ally in a self-styled champion of workers’ rights, they’re wrong. While bosses should, of course, be mindful of workers’ schedules, legislating e-mail hours should not be the focus or business of government. I mean, I do get it….I think people should be able to actually disconnect and spend more time with their families and on leisure activities…if that’s the type of job or industry you have. Since we do live in a Capitalist Republic, Municipal government should not be intruding in employer-employee relationships beyond protections of basic human rights and workplace safety and security, Many employers operate in multiple jurisdictions around the country and world and must maintain consistent policies that cannot be tailored to every local jurisdiction. 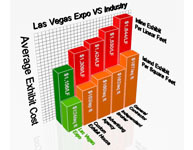 Rest assured, despite the zaniness that might or might not happen in the NYC Council or other parts of the country ….we at Las Vegas Expo Complete Show Services are here for you. On Mondays and Saturdays. At 5 AM or 10 PM. We’re here for you on Thursdays or Sundays. 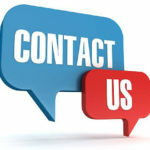 Whenever you call, text or email us…we’re plugged in and on the move if the clients need us. It’s what we do…respond and deliver no matter when or how it’s communicated. If you want an Exposition Service contractor , exhibit builder and labor supplier who is always available…give me a call or send me an email…. in the middle of the night or off hours on the weekend…we’ll respond. 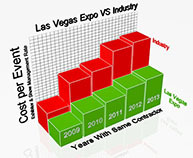 Mitch Isaacs, VP Marketing, Mitch@LVExpo.com, Las Vegas Expo Complete Show Services, 702-248-6200.